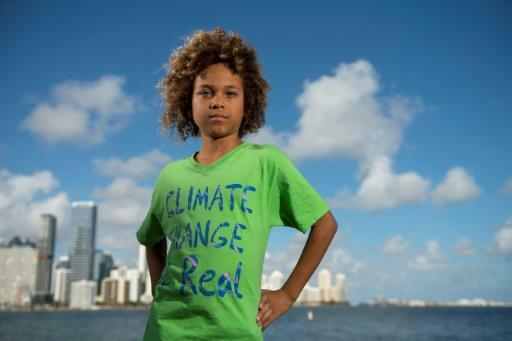 Levi Draheim is an 11-year-old kid who lives on a barrier island separating the coast of Florida from the Atlantic Ocean. He is also a plaintiff in a lawsuit against the US government over climate change. "I don't even know if the Earth is going to be around when I'm older at the rate that we're going," Levi told AFP in a phone interview before his swim class in Indian Harbour Beach, just south of Cape Canaveral. "I really hope when I'm older, if I have kids, that they'll be able to see where I lived, where I played," he says. "But I don't know if I'm even going to be alive or if we're going to be maybe living on Mars?" 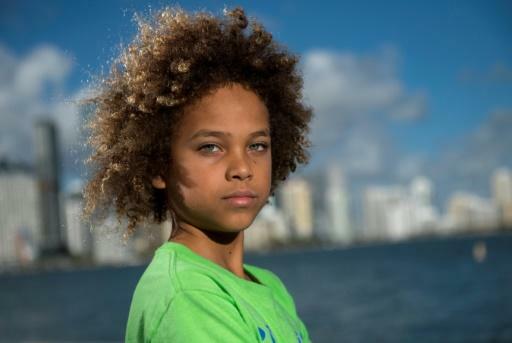 Levi is the youngest of 21 plaintiffs in legal action launched in 2015 by two associations, Our Children's Trust and Earth Guardians, against the US government -- a case now stalled in the courts for years. They accuse federal authorities not only of a failure to act in the face of global warming, but also of "affirmative actions that cause climate change," including policies that promote fossil fuels. They say such actions will deprive future generations of their constitutional right to life, liberty and property. Their action is separate from but complementary to that kicked off last year by Swedish teen activist Greta Thunberg, who sparked weekly school strikes on climate and a global day of action on Friday. Of course, Levi and his group know who Greta is. They've even sent her a portrait they made of her. When you live as Levi does on a sand dune, just 13 feet (less than four meters) above sea level, nature is an everyday fact of life. Levi, who is home schooled, is part of a group of children who have adopted a section of oceanfront beach, cleaning it every week. They joined the lawsuit against the US government when their local minister was contacted by Our Children's Trust. "I was very interested in the environment and do anything (I can) to help the environment. I knew about climate change, but I didn't know what I could do to help stop it," he said. Of course, the fine legal points of the case are a little past Levi: "You would have to ask my mom about legal stuff." But his tender age does not mean he is any less committed to the cause. "I think about climate change every day, basically," he says. "I'm extremely worried. When I was younger, I used to have nightmares, that I was basically looking at my barrier island and sea level was just rising and it was really hot." Levi is also displeased with the country's political leaders, who by and large are two generations older than he is. President Donald Trump is 72. "I'm kind of angry at them because they've known about climate change for over 50 years ... I'm pretty annoyed that they're the ones that are deciding our future and basically deciding our life."